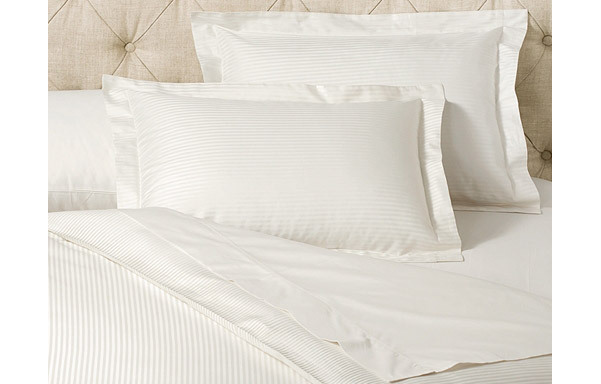 Same great luxury and comfort of our high thread count Prima cotton sheets in a coordinating duvet cover and shams. 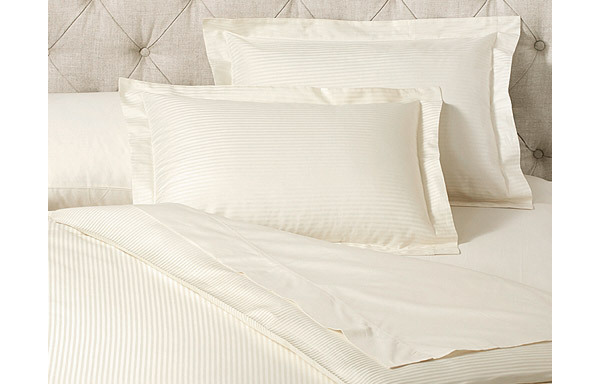 Duvet cover has 6 millimeter stripe on both sides. Matching shams have full flange and generous flap closure. Queen includes duvet cover and two standard shams. King includes duvet cover and two king shams. Colors: Ivory and Pure White. Std Sham 20" x 26"
Duvet Cover 108" x 94"
Std Sham 20" x 36"
Duvet Cover 108" x 92"
Std Sham 31" x 36"